Jihadists accused of carrying out terrorist attacks in Paris and Brussels used British welfare payments to fund the assaults, a court has heard. 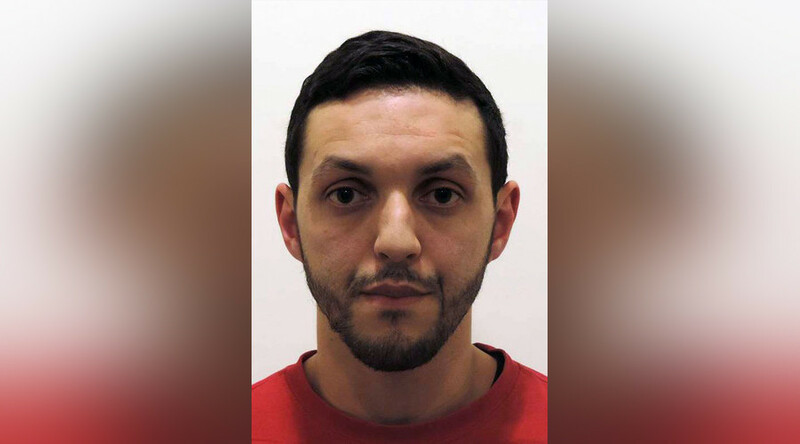 Two Birmingham men handed £3,000 (US$3,730) to Mohamed Abrini – who is thought to be the man wearing a hat in CCTV footage taken at Brussels airport before and after the attack there in March – before he flew to Paris and disappeared. Zakaria Boufassil, 26, from Birmingham, stands accused of making the payment, which was withdrawn from the bank account of Belgian national Anouar Haddouchi, who had been claiming benefits while living in the West Midlands. Kingston Crown Court was told, that Haddouchi had traveled to Syria to join the ranks of Islamic State (IS, formerly ISIS/ISIL) at some point before July 2015. His tax benefit was cancelled, but the information about his tenancy being terminated somehow missed the body, providing housing benefits. As a result, a total of £5,413 was overpaid into the account in the period between December 2014 and November 2015. Boufassil is accused of handing over the money to Abrini during a secretive meeting in a Birmingham park in July 2015. He was accompanied by Mohamed Ali Ahmed, who has already admitted to the charge. Telecommunications analysis, provided to the court, suggested that mobile phones, belonging to the three men had been in the same area in Birmingham on July 10, and there was some contact between the devices. On the opening day of the trial, jurors heard how Abrini was sent to collect the money by Abdelhamid Abaaoud, who is suspected of being one of the ringleaders of the November 2015 Paris attacks in which 130 people died. “There is no doubt that the money was handed over with the intention of assisting acts of terrorism,” Prosecutor Max Hill QC told the court. “The intention could not be more clear. Haddouchi had left the UK to fight for Daesh [Arabic pejorative term for IS] in Syria. Abrini came to collect the money in the UK. “The destination would include Syria and specifically Daesh, either to Haddouchi himself or to other fighters. In other words the cash was handed over to Abrini with the intention of assisting others to commit acts of terrorism." Hill said that Haddouchi left Britain in the summer of 2014 to fight in Syria. “His TSB account at times contained some £7,000 or more. The figure fluctuated over time because benefits payments were still going into the account, even though Haddouchi had left the country,” he added. Jurors heard that the money had been gradually withdrawn in cash sums on various dates between May 30 and November 23, 2015. Twelve people were killed in the attack on Brussels airport and a further 20 died in the Maelbeek metro station bombing that hit shortly afterwards.